Scientific Games has created a new global proposition with the launch of SG Digital, which incorporates the existing portfolio of SG Interactive B2B products and services with those of the newly acquired NYX Gaming Group, to create a supplier of digital gaming and sports betting technology and content. 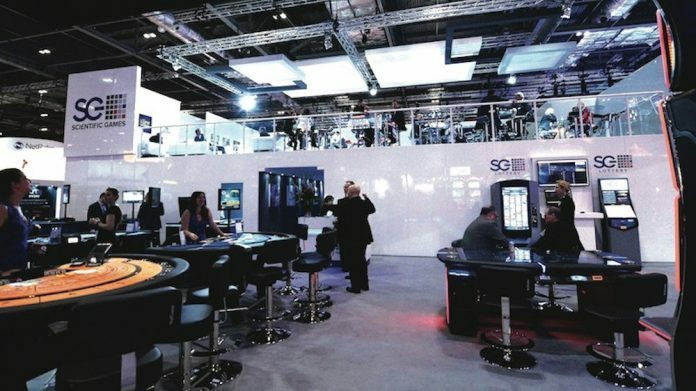 Bringing together some of the most established and successful brands in iGaming, sports betting and iLottery, SG Digital will boast products from the company’s nine in-house game development studios – including Bally, Barcrest, NextGen and WMS Gaming. The division will also leverage the combined company’s product offerings, including SG Universe®, an online solution for land-based casinos, and OpenBet®, a leading sports betting solution. The SG Digital workforce will be over 1,500 strong, spread across 34 offices and will serve over 200 customers with over 2,000 games and 40 licences worldwide. SG Digital will complement the Company’s three existing core Gaming, Lottery, and Social business divisions. Leading SG Digital will be former NYX Gaming Group CEO Matt Davey, who assumes the role of group chief executive, Digital. Jason Walbridge will become SG Digital chief operating officer. “The creation of SG Digital marks the beginning of an exciting and defining new era for Scientific Games and underlines the company’s continued ambition and dedication to provide the industry with the very best content, technology and digital products. Our vision is to be the world’s leading supplier of digital gaming, sports and iLottery solutions,” said Kevin Sheehan, Scientific Games’ President and CEO.